Self-polishing saddle soap. 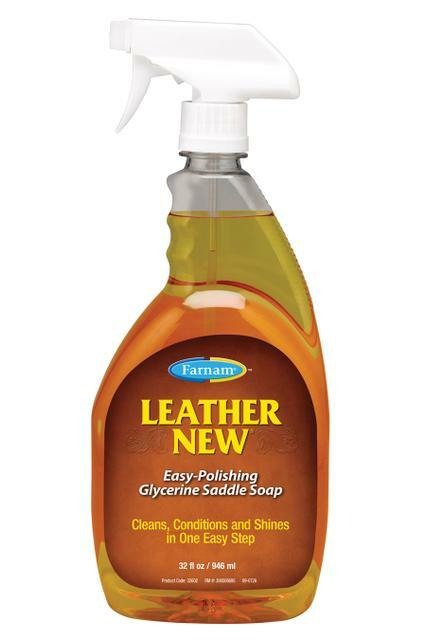 Cleans, softens and renews leather. Dries to a long-lasting shine. Won't dull or stain. Leaves no greasy residue - won't rub off on riding pants. Removes embedded dirt and grime. Easy and convenient to use!